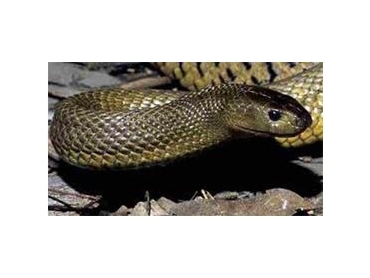 Enviro Bug Control presents their range of variable frequency solar powered snake repellers, an effective snake repelling system with a range of up to 650m2. After hibernation and the arrival of spring, snakes come out hungry and ill-tempered, which makes them more aggressive and dangerous as usual. Spring is also the mating season for snakes in which the males would be establishing and guarding territories. These territories can also include properties frequented by humans, and farm areas with valuable animals. Instead of trapping or killing the snakes, the solar powered snake repellers deter them away from the property. Snakes are highly sensitive to ground vibrations and would avoid these vibrating areas. However, snakes can also become accustomed to a single vibration frequency. Enviro Bug’s solar powered snake repellers utilises the latest technology in variable frequencies to constantly change the vibration to prevent snakes from getting used to the area. Installing the solar powered snake repellers are easy achieved by simply inserting the repellers into the ground. To help cover larger areas of property, the snake repellers can be placed in a spacing of 30m intervals. The solar powered internal batteries, when fully charged, can last up to 3 days in cloudy weather. The Variable Frequency Solar Powered Snake Repellers, from Enviro Bug Control, are constructed from long lasting durable materials that can withstand various weather conditions. 11/10/2012 - The snake repellers come with a full 12 month replacement warranty against operational defects. Excludes external physical damage sustained in situ.